Text published in DA Transactions, 1951. Richard Hansford Worth, M.INST.C.E., F.G.S., was born at Plymouth on 5th November, 1868, and died there on 11th November, 1950. He was a son of the late Richard Nicholls Worth, F.G.S., journalist, author, historian and geologist, president of the Devonshire Association in 1891, who died in 1896. He was educated at Plymouth High School for Boys (later renamed Plymouth College) and joined the engineering staff of the Great Western Railway at Paddington, later returning to Plymouth as a contractors’ engineer, and setting up in private practice as a civil engineer in 1890. He was, inter alia, a Member of the Institute of Civil Engineers, a member of the Mineralogical Society, and a Fellow of the Geological Society of London. He held the post of surveyor to the Urban Council of Compton Gifford for many years until its absorption by Plymouth. His professional training blended with the knowledge he acquired in pursuit of his chosen recreations to endow him with immense resources of accurate information. These he used with restraint and with a rugged integrity, which made him a most valuable witness at public inquiries into a variety of projects affecting the land and coasts of Devon. It was his return to Plymouth in 1890, at the age of twenty-two, that enabled him to share with his father the work of exploring the ancient monuments of Dartmoor—a task continued with skilled sagacity and patience throughout the whole of his life—and one with which his name must ever be associated. He joined the Plymouth Institution in 1888 when he presented a paper—his first—on “Early Western Railways”. He became President in 1904 and was made an Honorary Member in 1937. For many years he was the Institution’s Curator of Geology and Petrology. In his younger days he owned and sailed a yacht until prevented by pressure of business, and his love of the sea was reflected in his interest in Marine Biology, in which he was expert, and his membership of the Marine Biological Association of the United Kingdom, to whose official journal he was a contributor. He was Chairman of the Sutton Harbour Commissioners, and had been Chairman of the Pollution of Rivers Committee for the South-west. He was the foremost authority on the Climate and Water Supply of Devon, hence his professional services were in great demand. An accomplished photographer, he was for some years secretary of the Devon and Cornwall Camera Club. Very many people are familiar with his intricate and accurate plans and scale drawings, but not many know of his abilities in other artistic spheres ; he was, for instance, a very fine painter in oil-colours, although he rarely used this medium. He enjoyed trout-fishing in the Dartmoor streams he knew and loved so well. His interests were legion, and his versatility amazing. He married, in 1907, Miss A. E. Kingwell of South Brent, who survives him. His body lies where he wished, near that of his father at Shaugh Prior. R. Hansford Worth the scientist, the archaeologist, the enthusiastic Devonian, will live as long as the written word endures, and his papers, the product of a well-trained mind, a well-stocked memory, keen and patient observation and a healthy independence of thought are a mine from which posterity can draw accurate information recorded with infinite care, but what of R. Hansford Worth the man? With his white beard, his skull-cap (he suffered from rheumatic pains), his pipe and general patriarchal appearance he has been described as Doge-like and Dickensian, but his most striking characteristic was the twinkling eyes of a virile boy in his teens. Humour flashed there, and he could demolish with shrewd wit any pretentious theory not founded on fact. His great aim was truth in every detail. He was slow to form theories, and was rarely in the forefront of scientific opinion; by recording facts he confirmed many theories and demolished many, but was ever ready to say “Not proven”. When asked the purpose behind the archaeological relics on the moor—relics which he knew better than any other man—he would always say simply “I don’t know”. He possessed that most rare of gifts among scientific investigators, that of viewing his own work critically, and, where he considered he had been too definite in an opinion expressed in former papers, he would confess as much. He hated error, but was very sympathetic towards an error acknowledged and rectified; for youthful enthusiasms he had every sympathy, and was always ready to listen to the budding antiquary and help his fumbling attempts at investigation. Speaking of his father, he once said that the old adage that the good die young is undoubtedly true, for the good never grow old; his life proves the truth of this statement for his last paper, though separated by a span of over sixty years from his first, is as fresh and stimulating in every way. He was the proud possessor of the gold medal of the Royal Geological Society of Cornwall, an award richly deserved for his achievements in the geological field, but he was even more proud of a simple silver tobacco-box inscribed: “R. Hansford Worth, a small token of gratitude from Hallsands, March 1905.” To this presentation every inhabitant of that ill-fated village, “The village that was murdered” (to quote the B.B.C. ), had subscribed, and it is a reminder that, when shortsighted officialdom permitted the wholesale removal of beach material from the beach which protected that little South Devon fishing village from the inroads of the sea, R. Hansford Worth gave freely of his skill and time to combat ignorance, obstinacy and financial greed. Half a century ago we find him proving from examination of beach-material, soundings, and accurate surveys what the final result must be, and when at last a pitifully small sum was forthcoming to protect the village, he planned the sea-wall and other defensive works which staved off final disaster for almost a quarter of a century. In spite of cajoling, and the combined forces of finance and officialdom, he continued the fight and was in the van of the persistent struggle which gained some tardy compensation. He was also a trustee of the Western Morning News Hallsands Relief Fund. It is typical of the man that for all this work he received no payment, it was sufficient for him that there was a wrong to be righted, justice to be done, and scientific and engineering problems to be solved. His papers on Hallsands in volumes 36, 41 and 55 of the Transactions comprise seventy pages of testimony to the fighting qualities of a man whose Celtic blood gave him a relish for a “Scrap”. His love for Devon was simple and untiring, and for the untamed moors with their scientific and archaeological conundrums he had a whole-hearted devotion which found expression in dozens of papers all based on personal investigation. What he found he recorded, and never did he permit himself to form a theory and then seek to establish it by the selective collection of data. Those who saw and heard him in action in defence of Dartmoor at the public inquiry at Exeter on 16th July, 1947, will never forget the case he presented and the manner of its presentation. As one Dartmoor lover, now an official of the Dartmoor Preservation Association, expressed it: “He stood head-and-shoulders above all others there. He spoke with simple authority, and every word rang true.” If his efforts had received the support they merited from certain quarters where we had the right to expect it, the result would have been far different. As it was he scored heavily and won several points. During the recent war, when he was over seventy years of age, his office was burnt down and his home badly shaken in the air-raids on Plymouth, but he said simply, “I still have my garden and the moors” and he turned two rooms of his house into an office and carried on with his work, coming into Plymouth daily for four and a half years from Princetown and Clearbrook. The garden he mentioned was typical of the man:—his work called him into Plymouth, but his heart was in the country, so (opposite his home) he bought a large piece of ground whereon stood magnificent beech trees, and here he planted cherries, shrubs and (naturally) heather, and here he set stones from the moor, including rick-staddles brought from Widecombe. Here he could spend a few minutes each day among the things he loved, even when business kept him in Plymouth. Of his work for Plymouth let Mr. Isaac Foot (when Lord Mayor) speak: “No one has done greater service to Plymouth than Mr. Worth”. His wit often found expression in a manner which was almost Shavian. For instance, he never drove a car, saying that there were too many fools on the road already. His dislike of military encroachments on the moor found expression in his caution in going near military ranges when firing was in progress, saying that the military never hit anything smaller than a haystack, and invariably left their shells on the moor to be exploded by somebody else. Again, he took no part in public political life, saying he preferred to keep his politics for home consumption. Such remarks were delivered with a twinkle of the eye and the impression that his tongue was in his cheek. It was difficult to realise that he was a contemporary of Robert Burnard, Rev. S. Baring-Gould, and the other great men of Dartmoor investigation. His life was long, and the work he accomplished phenomenal. He was as active as ever almost to the day of his death at the age of 82. The fact that he achieved so much is proof of the devotion and whole-hearted co-operation which he received from his wife, who tramped thousands of miles with him over the moors, helping and encouraging him. The debt which posterity owes her is indeed great, and his achievements are in no small part hers also. Like his father before him Hansford Worth was a tower of strength to the Devonshire Association. He became a member as long ago as 1891 and, in the year after his father’s death (i.e. 1897) he began his long and memorable series of contributions to the Transactions. It was then that he commenced, as Recorder, the annual Reports on Barrows, embodying much of his own researches. In 1906 he took up his Reports on Climate, and these two series of reports were continued by him until the year of his death. 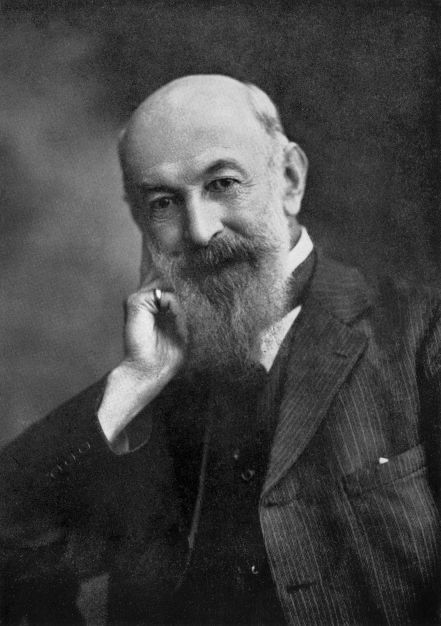 Apart from these reports and a newly drawn plan of Grimspound (1894) his first independent paper was submitted in 1899, and, in the fifty years which followed, Chope’s Key and Fursdon’s Index to the Transactions reveal that he contributed papers on more than forty subjects, some of them being dealt with in more than one volume. He was President of the Association in 1930, when he wisely took the opportunity to prepare and to submit a comprehensive paper on “The Physical Geography of Dartmoor” (vol. 62, pp. 49—115). Previous item Radford, Ursula M.